From the green masterpieces of the Royal Botanic Gardens, Kew, to Koishikawa Korakuen in Tokyo, and from the Lost Gardens of Heligan in Cornwall to the verdant moss landscapes of Buddhist temple Saiho-ji in Kyoto, the British and Japanese share an appreciation of the natural beauty of the garden. Part of a major business sector across the UK, horticulture firms are significant exporters to North America and Europe, and are hoping to explore more distant destinations. Of these, Japan has been identified as a potentially important market. British firms have had designs on Japanese gardens for some time, points out Charlie Parker, commercial manager of Gardenex, the UK-based Federation of Garden and Leisure Manufacturers Ltd.
“The Japanese are very keen on gardening and we began taking our first groups of companies to Japan back in 1999”, Parker told BCCJ ACUMEN. “That was, in part, thanks to a huge boom in interest in British gardening that had started a few years earlier with a large feature on the gardens of Highgrove House in a Japanese magazine”. The family residence of The Prince of Wales and The Duchess of Cornwall, Highgrove has gardens that are extensive and have been the pride and joy of Prince Charles for the past 25 years. They have also been used to put into action his philosophies on organic and sustainable horticulture. All green waste is recycled, natural predators are encouraged in order to keep garden pests under control, and only natural fertilisers are used. The prince’s garden really caught the imagination of green-fingered Japanese, Parker explained. Up to 30 British firms took part in early expeditions to attend the Japan Gardening Fair in Tokyo. The event later became known as Gardex, the country’s largest garden industry trade show. “There was a gradually growing interest at that time in the sorts of things that British companies could provide”, he said. “But that halted suddenly with the disasters in Tohoku”. 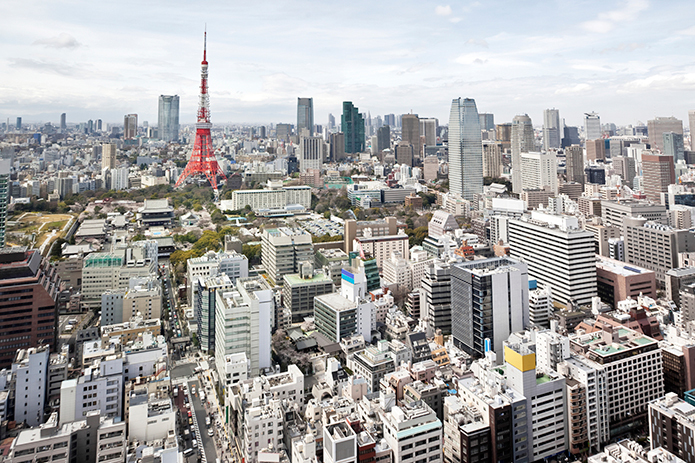 Following some years of inactivity after a decision that it was not quite time to test the waters in Japan, the organisation made another approach to the market in October. It supported a modest three-strong British delegation to take part in the three-day Gardex 2014 show, the most important annual date on Japanese garden-lovers’ calendars. With a Union Flag prominent above the member firms’ booths and the support of UK Trade & Investment (UKTI) at the British Embassy Tokyo, the firms generated a good deal of interest and a number of new opportunities. Despite British firms’ recent absence, Japanese gardeners still admire the quality of UK gardening equipment, inventiveness of British technology, and quintessential “Englishness” of some products. “We last exhibited at the show five years ago and we have already enjoyed some success in the Japanese market”, said Andrew Jenkins, a spokesperson for Somerset-based Briers Ltd.
“The Japanese really do admire British gardening traditions, such as our informality and the use of colour and design”, he said. “It is a big help that in the Japanese market at present there is nothing like what we sell. “There was great interest in our range, and that was in spite of problems with some of the stock for the stand failing to arrive”, he added. 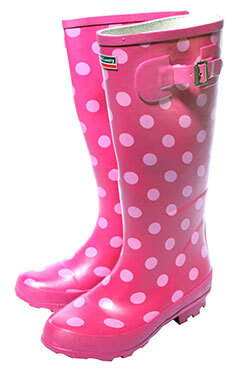 Specialists in garden gloves and footwear—including pink-and-white polka-dotted PVC boots designed to make the wearer stand out from the gardening crowd—Briers already has two UK-based Japanese distributors. Jenkins used the exhibition to explore additional distribution routes. “We know there is potential in the market for British-designed and, preferably, British-made garden and garden-associated products”, he said. “And we are confident that we will continue to sell and to grow the business as we have done in every other market—although that does depend in part on budgetary restrictions and exchange rates”. The distance between Japan and the UK does make budgets a concern for small and medium-size firms, admitted Erick Mackay, sales and marketing director and investor at Irrigatia Ltd. Nevertheless, the business, based in Yorkshire, has already shipped its first order to Japan. What is more, Mackay’s presence at Gardex has led to the signing of a distribution deal with a local firm that was already importing water butts from the UK. “We are a small company, but just last year grew sufficiently to justify the investment involved in paying our first visit to Japan”, Mackay said. Irrigatia has devised an ingenious automatic garden irrigation system that utilises solar power and is suitable for properties of all sizes—a key consideration for a market where gardens are usually small. “We had a fairly good reaction at the event”, said Mackay. “The Japanese appear to have a similar culture towards gardening as the UK … and they do harvest rainwater in water butts, which is crucial to our ability to sell our products”. Mackay was also delighted to discover that no products similar to the Irrigatia range are available in Japan. He believes that having gone the extra mile—printing Japanese text on the boxes of products on display, as well as having installation and operating instructions available in Japanese—made a positive difference. Another water management firm taking part in the trade mission was Porous Pipe Ltd, which is headquartered in Lancashire. It collected no fewer than 40 potential business leads at the event. “Many retailers and landscapers were not familiar with the type of product that we have and were very interested in trying it out”, said Amanda Clegg, business development manager for the firm. As the name suggests, Porous Pipe supplies watering systems and hoses that permit water to seep through their outer surfaces, delivering gentle and precise watering. Made in the UK from recycled materials, the firm’s products are ideal for garden borders, fruit and vegetable plots, as well as greenhouses and cloches. “There are already products like this for the professional market in Japan, but competition in this area is strong”, Clegg said. “There is constant interest in alternative types of products, so I believe that our target should be retail sales to gardeners. “We already have a small distributor in Japan and we work with a UK national who has a landscaping business and now also a store in Tokyo, so we are keen to work with them to expand and open up other opportunities”, she said. “I do believe there is potential for our company in Japan and we offer retail packs for the home gardener in small lengths, and micro-irrigation solutions for patio and planter applications”. Firms in the horticulture sector attempting to get a welly boot in the door of the Japanese market have benefited from the assistance of UKTI in Tokyo. Akiko Yanagisawa, head of the creative and consumer industries team, is keen to encourage further penetration. “For Japanese, gardening is part of the iconic culture and heritage of Britain, and this sector goes a long way to helping raise the image of the UK here”, Yanagisawa told BCCJ ACUMEN. “We had a lot of success in the mid-1990s until around 2000 and we were working very hard to create even more interest with the domestic trade press and consumer magazines”, she said. “In all, we brought nearly 100 British companies into Japan at that time”. That boom in interest had a knock-on effect on other sectors, with tourism into the UK, in particular, seeing a spike in Japanese tourists wanting to visit some of the most famous gardens. Inevitably, Japanese firms, as well as manufacturers in other parts of Asia, noticed the surge in sales and suddenly started turning out gardening items that looked very similar to the original British products, but at a fraction of the cost. Some loyal customers, impressed by the quality of their British gardening equipment, stuck with their tried-and-tested suppliers, but many opted for the cheaper, but similar, knock-offs. That was a serious blow to UK importers, particularly when combined with Japan’s broader economic downturn, the impact of the Great East Japan Earthquake and tsunami in 2011 and, more recently, the weak yen, which makes imports more expensive. “We believe that British importers, more than ever, now need a unique selling point for their products—a strong brand story, strong design values and a selection of items to succeed in Japan”, said Yanagisawa. “Also doing well are companies that sell gardening fashion items, like bags, gardening aprons or boots—that are uniquely British and satisfy customers from that point of view. “There has also been solid growth among companies with famous heritage brands and technologies that are more advanced than anything that is already on the market here, such as watering systems with a specific advantage in technology or design”, she added. From the manufacturers’ perspective, Gardenex’s Parker agrees there have been challenges for UK firms to overcome, but he remains upbeat about the opportunities here. “I know that deals have been agreed since last year’s event and that discussions are ongoing between some other companies”, he said. “My experience of the Japanese market is that it can take some time for a firm to get bedded in, but UK companies have had a lot of success already. “We have talks coming up with the British government about the support they might be able to extend to our sector and, as long as those discussions go well, we are hoping to get a larger group coming over to this year’s Gardex”, he added. 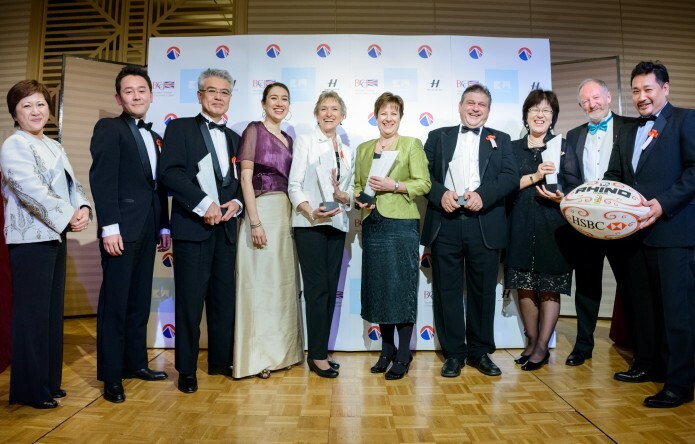 The 7th annual BBA celebrated the excellence of UK-Japan business relations, broke records and set a number of firsts. UK-Japan youth programme uses science and engineering as a cultural bridge for international understanding. The BCCJ magazine celebrates its history of providing insight into UK-Japan business, culture and lifestyle with this landmark issue. 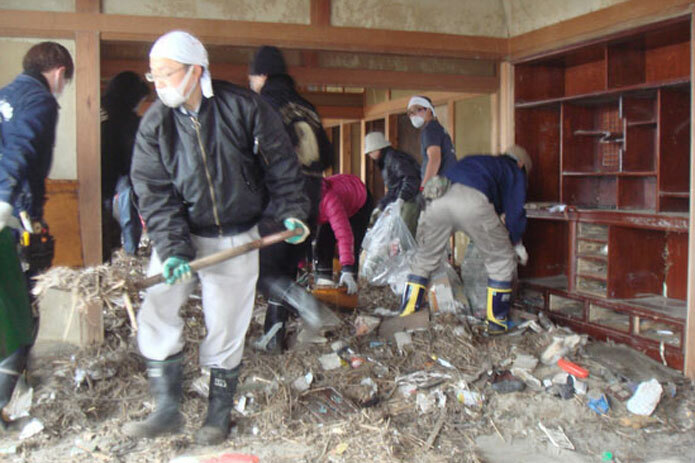 As we mark the third anniversary of the disaster, it is clear that Britons have had a huge impact on recovery and reconstruction in the Tohoku region.